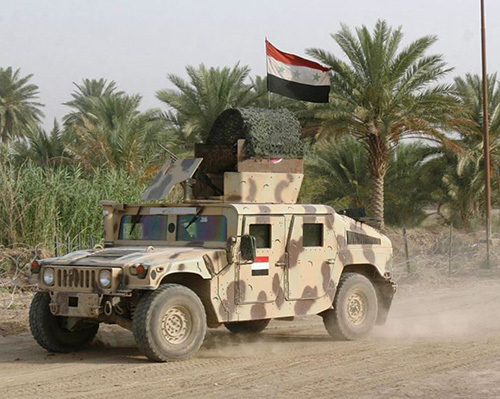 On 18 July, the Iraqi Defense Ministry announced a program to refurbish large numbers of weaponry and up to 1,200 military vehicles, Kurdistan 24 reported. In a video featured as part of an online statement, hundreds of Humvees and other vehicles were shown lined up in rows while music plays. The Chief-of-Staff of the Army, Major General Othman Al-Ghanami, was also seen inaugurating the program at the headquarters of the 6th Infantry Division in Baghdad. The country’s Security Forces gained a reputation in post-2003 Iraq for a lackluster attitude toward crucial maintenance of military vehicles and armaments which has rendered inoperable millions of dollars of equipment provided by the US and other nations. International observers have reported improvement in recent years, but continued general poor upkeep combined with Iraq's sweltering heat means that it is still an important issue.